Have you ever wondered why cats and kittens engage in rough play fighting? Do they get any form of pleasure from this activity? Playing is something all of us seem to enjoy, but for us humans, it’s almost always just for fun. With cats, play fighting can often have many purposes that we’re going to tell you all about. 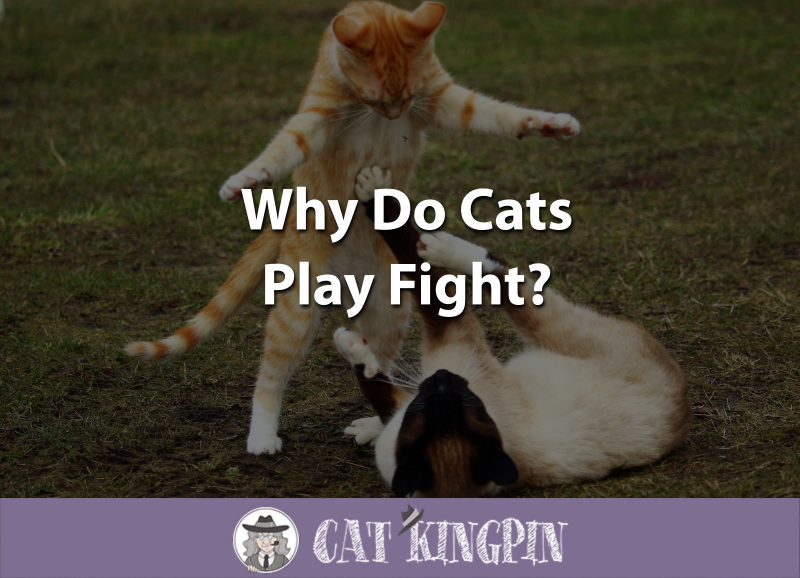 Why Do Cats Play Fight? How Do Cats Play Fight? How Do Kittens Play Fight? Play fighting is a common behavior seen in many types of mammals across the world. In fact, many evolutionary psychologists believe that any act of play is significant to the development of an animal’s mental and physical well-being. Often seen in young kittens, play fighting allows a kitten to develop life-long skills like communication, hunting, and agility. It doesn’t just take a collar to do those things. During the first 12 weeks of life, a kitten may engage in wrestling and pouncing activities that will enable them to learn new skills. Play fighting during a kitten’s first few weeks of life therefore serves a critical role in allowing them to develop proper social skills which can be carried into adulthood. An orphaned or isolated kitten who cannot engage in the play fight behavior may grow to be rougher with other animals, weak hunters, and anti-social towards other pets. As cats get older, the play fighting they learned as kittens plays a more important role when it comes to determining dominance. For example, when kittens engage in a wrestling match, the winner often turns out to be the more dominate one. Then, as the dominant kitten reaches adulthood they are more likely to use this play-fighting behavior as a way of letting other cats and animals know their place. It’s not necessarily an aggressive behavior, but communicates to other cats and pets who is in charge. Play-fighting is also a part of learning the necessary skills for hunting and survival. Kittens “hunt” each other’s tails and wrestle to learn how to hunt prey and fight should they end up needing to defend themselves from a predetor. Because of this, play fighting is a crutial part of kitten development. Cats are animals with complex brains which give cats the ability to think, feel, learn, and enjoy various behaviors. Play fighting is therefore considered to be a way of relieving boredom and letting out excess energy. A cat who engages in play consistency may simply be doing it for the sake of fun and entertainment as opposed to developing new skills. Not all kittens remain playful when they reach adulthood. Some cats may choose a more solitary life by remaining an explorer or wanderer. If you’re interested to learn more about this behavior then have a look at why your cat wanders. An adult cat play fighting is generally different from kittens play fighting. Adult cats may have their ears slightly back and will continue to wrestle each other. Adult cats will not typically hiss or growl if they are play fighting. Claws always remain retracted and swatting is common. When understanding how adult cats play fight, it is important to consider your individual cat’s personality and relationship with the other cat. Often, an adult cat is more likely to engage in play-fight if they have known their fellow cat friend since youth. A kitten who is play fighting will not demonstrate aggressive behaviors, so hissing and growling noises are not often made by both kittens. 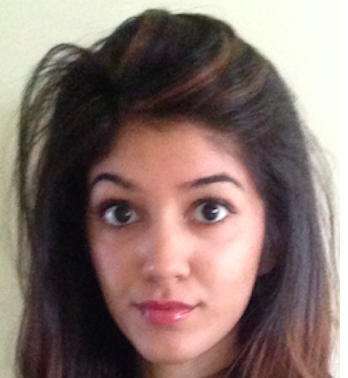 Ears are upright and hair is down. A kitten whose ears are pinned back and whose fur remains erected is likely displaying aggressive behavior. Wrestling each other in a rough manner with no hissing or growling. Running and climbing to escape littermates then returning to continue engaging in playful wrestling. Biting other littermates. This is common and is not intended to hurt the other kitten. It’s always great to add various toys that will encourage the play fighting and enhance instinctual behaviors such as pouncing and hunting. My personal favorite toys include the laser pointer and the Cat Teaser wand to encourage hunting play. Or, if you have multiple cats, you can consider getting a cat tree that can handle more than one cat. When using such toys, you can encourage play by giving treats. Some great kitten treats include Wellness Kittles and Get Naked. Here are some kittens play fighting and it’s pretty much the cutest thing I’ve ever seen! Kittens love to bite, wrestle with, and pounce on their littermates. Often, they can get a little bit too rough and the kitten getting hurt or feeling overwhelmed will cry. This let the other kitten know to back off, and they usually do. Sometimes, however, a kitten may not get the hint and the mother cat may intervene to stop the fight. Claws are no longer retracted. Consistent bullying of other cats. For example, a cat may be trying to stop the play fight by leaving the scene. However, the bully cat is chasing down the other cat to continue to wrestle with them. The bullied cat’s ears will be pinned completely flat against their head they will typically become vocal by hissing or growling. Their pupils will also be dilated. When owners notice that the bullied cat is no longer having fun and is seeking a way out of the play fight, this is a good indication for owners to stop the game. Never intervene using your hands since cats that are getting into an actual fight may see you as a threat and bite or scratch you. Instead, try making a loud noise to scare them, spraying the bully with water from a spray bottle, or using something like a broom to separate them. Sometimes, you may need to keep cats separated for a little while to let both of them calm down after a play fight turns into a real fight or an attack. Remember, contrary to the old saying, they don’t actually have nine lives so you need to keep a watchful eye on them. So, Why Do Cats Play Fight? Play fighting is a common behavior exhibited in cats of all ages. The main theory proposed by evolutionary psychologists suggests that kitten play fighting allows them to develop various skills needed for survival in adulthood. However, as cats are complex mammals, play-fighting can simply be a way of socializing with each other and entertaining themselves. Got a cat who loves to play? Or a spunky little kitten who loves to wrestle? Let us know in the comments.